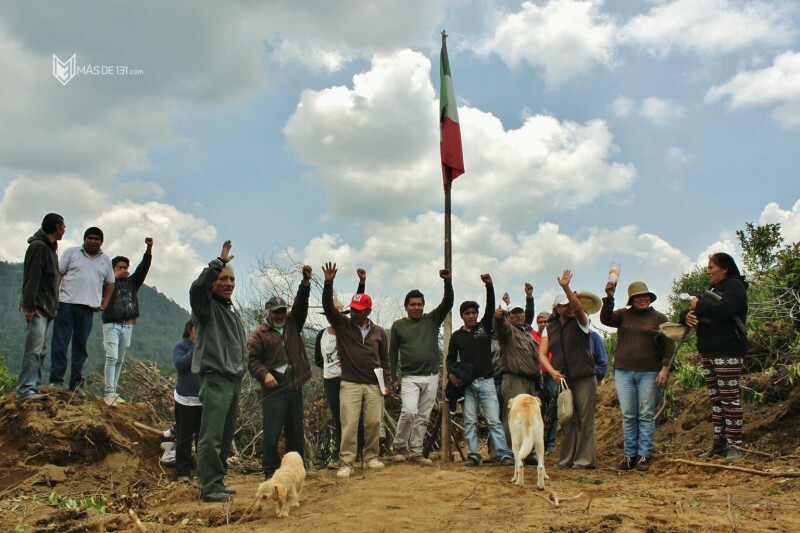 The Otomi (or ñätho, as they are referred to in their own language) set up the Resistance Camp to halt the destruction of their lands, and the six houses they’ve built on it, when they learned of Mexican President Enrique Peña Nieto’s order to expropriate close to 100 acres for a highway project. The project’s construction contract went to the Teya Corporation, part of Grupo Higa, a corporation that previously built a seven-million dollar house as a gift for the president in Lomas de Chapultepec, an area with the highest property appreciation values in the country. The scandal attracted worldwide attention less than a year ago, in November 2014. A day after learning of the presidential decree, the Otomi arrived at the National Human Rights Commission to demand some measure of protection from the incursion by police and the Teya Corporation. 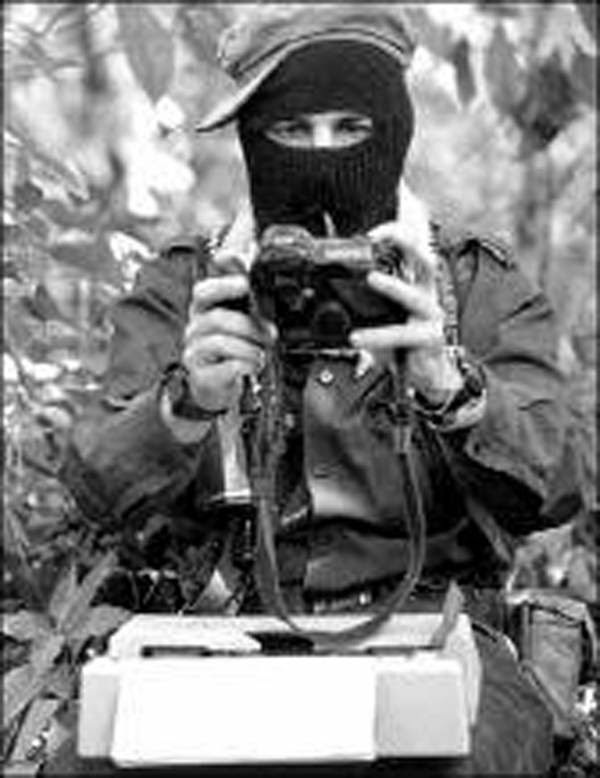 The President’s written decree, however, states that the Otomi were consulted between June 5-12, in accordance with the first and second articles of the Mexican Constitution and Convention 169 of the International Labour Organization, as well as the United Nations declaration regarding the rights of indigenous peoples. Fernandez related how, in 2007, topographers began surveying the land without consulting its inhabitants. A year later, armed with information about the project that they themselves sought out, the community called an assembly to decide if it would consent to the highway’s construction. “This project directly links the Toluca International airport with the north and north-eastern metropolitan areas of Mexico City, which would mean an enormous boost to the socioeconomic development of the entire central region of the country,” states the decree. What the decree does not say is that a federal highway already runs from the city of Toluca to Naucalpan. It also fails to mention that it will be a toll road, that the Teya Corporation won its construction contract in 2007, when Peña Nieto was governor of the state of Mexico, where the proposed highway is to be built. 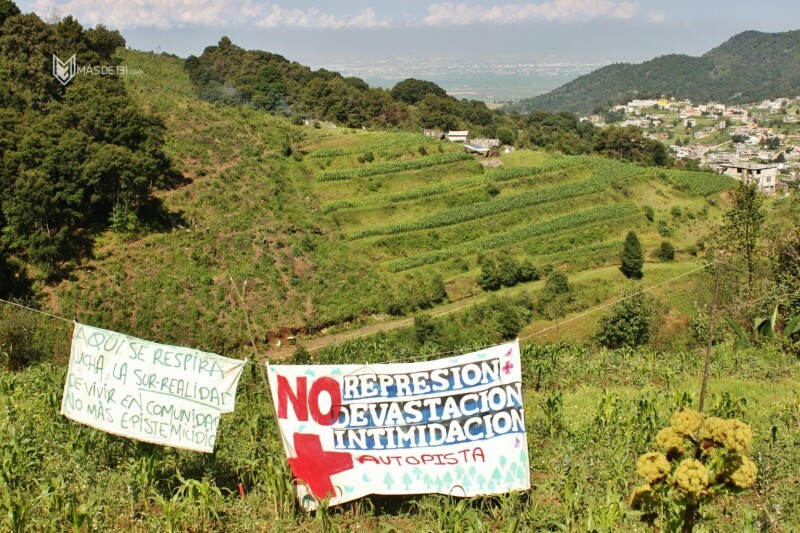 In 2014, Peña Nieto expropriated Huitzizilapan and other neighbouring communities of Xochicuautla. The freeway was 34 percent complete at the end of 2014, according to the state government. Just a few months after Peña Nieto took office as President, Banobras (Mexico’s National Works and Public Services Bank) allotted over $172 million, in order to finalize the project by the second half of 2015. 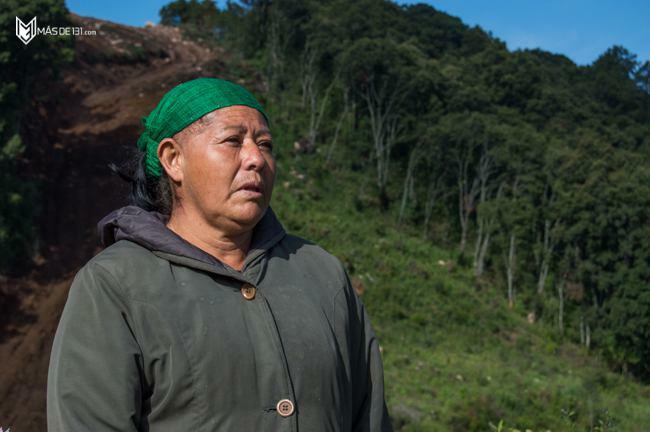 Besides Xochicuautla and Huitzizilapan, construction has affected the Otomi community of Ayotuxco, which filed an appeal to stop Teya’s bulldozers, which have already destroyed part of their land. The project cuts through a forest that separates the country’s capital and the city of Toluca. The forest falls under the protection of state laws, such as the one designating the Otomi-Mexica State Park as an ecological reserve. At a July 15 press conference, the Zeferino Ladrillero Center for Human Rights, which is providing legal assistance to the Otomis, announced that Xochicuautla approved a “re-appropriation counter-decree,” in order to return the land that has already been appropriated. The “counter-decree,” signed by community representatives and the Indigenous Supreme Council, intends to create a legal precedent in Mexico.